Writing may be a solitary profession, but it is also one that relies on a strong sense of community. 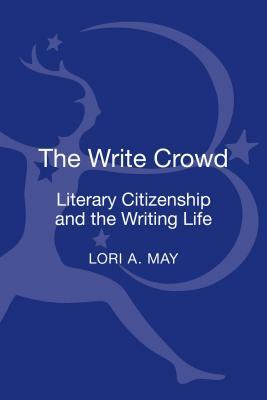 The Write Crowd offers practical tips and examples of how writers of all genres and experience levels contribute to the sustainability of the literary community, the success of others, and to their own well-rounded writing life. Through interviews and examples of established writers and community members, readers are encouraged to immerse themselves fully in the literary world and the community-at-large by engaging with literary journals, reading series and public workshops, advocacy and education programs, and more. In contemporary publishing, the writer is expected to contribute outside of her own writing projects. Editors and publishers hope to see their writers active in the community, and the public benefits from a more personal interaction with authors. Yet the writer must balance time and resources between deadlines, day jobs, and other commitments. The Write Crowd demonstrates how writers may engage with peers and readers, and have a positive effect on the greater community, without sacrificing writing time.